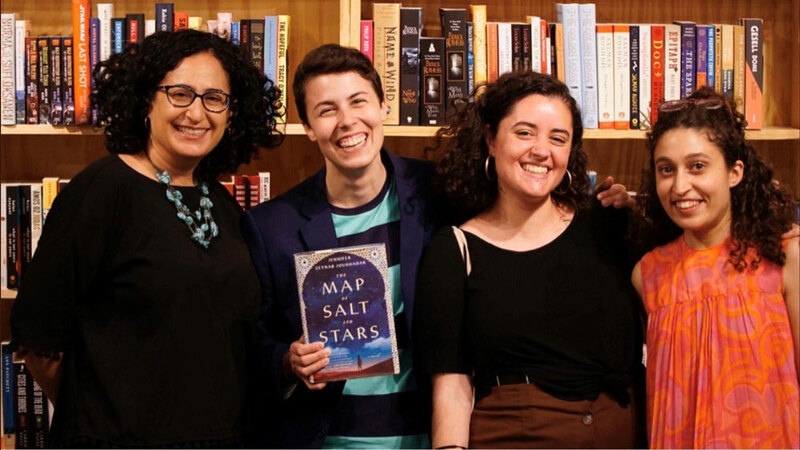 In 2015, after years of intense study, a bachelor’s in molecular and cell biology followed by a Ph.D. in pathobiology as well as two postdoctoral fellowships, Jennifer Zeynab Joukhadar ’08 (CLAS) walked away from science to pursue her childhood dream — to be a novelist. 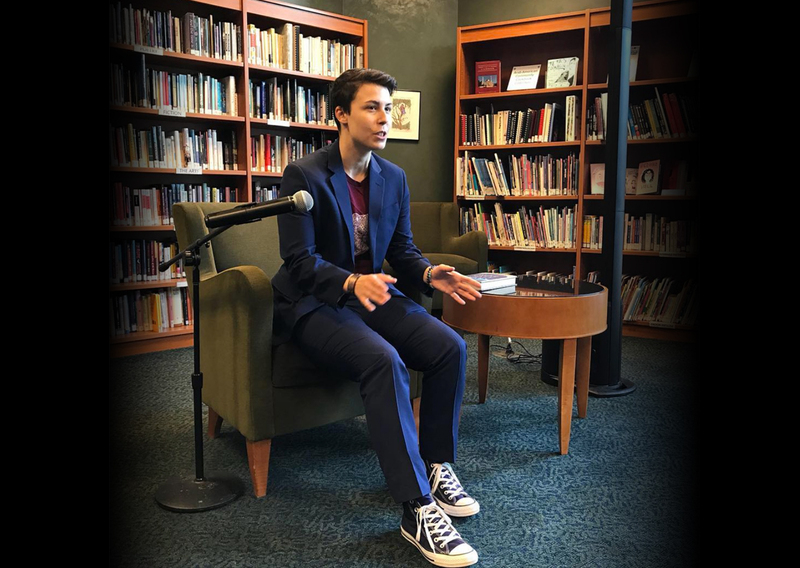 Joukhadar (at book events at the Arab American National Museum in Dearborn, Michigan (top), and at Moon Palace Books in Minneapolis, Minnesota) has received high praise for her debut novel from critics, who have compared it to The Kite Runner. “I wanted to give myself a chance to write full-time for six months to a year and see where it led,” she says. 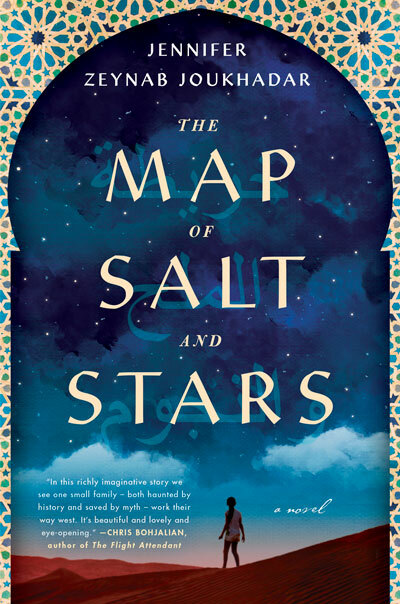 Where it led is to Joukhadar’s first ­novel, The Map of Salt and Stars, which was recently published by Simon & Schuster. The book’s dual narrative follows two fatherless girls as they each embark on long and dangerous journeys across the Middle East and North Africa. As 12-year-old Nour flees the Syrian civil war with her family, she comforts herself by recounting a story her father used to tell her about Rawiya, a teenage girl who apprentices herself to a medieval mapmaker charting trade routes. Joukhadar switches back and forth between the two tales that are as similar as they are different. Rawiya’s story is a fairy tale; Nour’s is a nightmare. Though the war felt personal for her, what the author knew of it was mostly from news accounts. Joukhadar grew up in Manhattan and in Fairfield, Connecticut. Her mother is American. To tell Nour’s story Joukhadar turned to first-hand accounts of refugees, reading as many as she could. She also researched her own passions, geology and mapmaking, which she weaves into the book as symbols and plot devices. Nour, for example, carries a piece of lapis lazuli riven by bands of salt, a metaphor for the unavoidable trauma in life. Though Rawiya’s story is fantastical, complete with a kind of monstrous bird, she apprentices to al-Idrisi, a real-life Arab medieval geographer who was one of the most advanced mapmakers of his time. Though Joukhadar began writing stories in third grade, she set her sights on science in college. Her family encouraged her to have a backup plan to writing, and a career as a research scientist became that. She went to Dickinson College in Pennsylvania, but was drawn to UConn’s science program and so switched in 2007. Here, she took a heavy course load and worked in Professor Michael Lynes’ immunology lab. That didn’t leave her much free time, but she kept writing, finishing short stories and a novella. Ironically, as she has worked on that book, the Trump administration essentially banned Syrians from even visiting the U.S. While she’s been on the road to promote her debut novel, Joukhadar says people at her readings often ask her what they can do to help Syrians. If nothing else, she urges them to read what Syrians themselves have to say about the war.